Be honest, was President Obama pressing for a Security Council vote condemning Israel activity beyond the Green Line really all that much of a surprise? Did you still doubt the vindictiveness and hatred of Israel and Prime Minister Netanyahu? Did you really believe he would leave office without setting in stone his idea of a fair border for the Palestinian State? None of this was a surprise as the only thing which was left unknown was how close would he allow it to be before he left office? The pressing matter was the upcoming French conference as President Obama needed this to be his idea and not some reaction to the French initiative. That is what placed any deal of haste behind his actions. As for what good this did, that is what we can discuss here in this article rather than react and try to belittle the pettiness of the departing American President. That discussion we will leave for those stuck in condemnation of the past and probably holding great amounts of trepidation of the future as Trump was not their Presidential choice. Israel must use this as their last and final opportunity to learn the reality of the world. Israel is hated by the world powers. The peoples of the Earth may not all hate Israel but it is far too probable that much if not the vast majority of the peoples of the world hate Israel. The people of Israel need to grasp the full implications of the findings that close to two-thirds of those who admitted to hating Jews had never met a single Jew. This reveals that hating Israel is a visceral reality resultant of anti-Semitism, anti-Zionism both of which have no necessary requirement for having met a Jew or a Zionist respectively. It is also necessary for Israelis, especially Israeli Jewish Zionists to realize that some Zionists are not Jewish but do believe that Hashem did indeed promise the people known today as the Jews the lands of Israel. But the numbers of our friends are also mostly the ‘silent majority’ whose lives are filled with family, work and day-to-day living and not of the sort to be available for demonstrations at a moment’s notice. Thus the support for Israel is more relaxed and less visible than the opposition. But the governments are very visible in their deferential positions for supporting Israel’s enemies. The unanimous vote, the abstention by the United States is equivalent to a yes vote, is telling especially when one considers the list of nations currently in the Security Council; China, France, Russia, United Kingdom, United States, Angola, Egypt, Japan, Malaysia, New Zealand, Senegal, Spain, Ukraine, Uruguay, and Venezuela. The notables are Japan, New Zealand and Spain as all are neither Islamic nations nor subjects of recent Islamic terrorist attacks nor do they have histories of anti-Israel actions. What they do share is leftist governments which are willing to blow with the wind and are incapable of resisting the Arab funded anti-Israel tsunami which has been greatly aided by Western government’s craven refusal to stand for freedom and human rights when it comes to the contemptable records of the Arab world. Instead they prefer to pretend that Israel is the center of all that is wrong with the world and if only Israel can be subsumed and destroyed then all will be right with the world. Such acts will all lead to but one conclusion, the directing of the full forces of Islamic terrorism and subversion against the entirety of the West and then their turning to Asia, South America and the remainder of Africa in their Grand Jihad to fulfill their perceived promise from Allah that they will be the sole force on all of the Earth. If this is the desired result the world desires, could they please simply enact Sharia and leave Israel to be Israel alone if necessary. For more on the writings of the Quran we wrote a short piece as an introduction titled Which Quran, Mecca or Medina? and friends of BTC have added numerous informative and accurate links to a varied assortment of commentaries and actual copies of the Quran from both its normal appearance to chronological listings of the writings of Muhammad’s scribe, Muhammad could neither read not write. There are numerous other Hadiths which denounce both Jews and Christians and many were adapted for use against Buddhists and Hindus during the Islamic Jihad in India. The Quran is a wonderful book written in such a manner as to confound any who study seeking useable arguments leading to a conclusion. As the Quran is assembled shortest verse to the longest verse one must first rearrange the writings putting them in chronological order as they were revealed. The arrangement was made in order to allow students to start from their youth learning, memorizing the shortest verses and as they matured to commit to memory the longest verses. They were also taught not to be concerned that the verses they memorized made little sense in the order they are taught as these things are of no consequence. The true meaning of the Quran will be granted only to the learned ones, the Imams, and the followers are to take the words of their Imam as the true and pertinent meaning of the Quran. This allows for a community religious leader to mold the word which their followers are able to teach to others. In this was the writings of the words spoken by Muhammad in Mecca, the earliest verses, to their followers thus present an Islam of love, peace, coexistence and multi-culturalism much like Judaism, Christianity, Buddhism and other major religions. 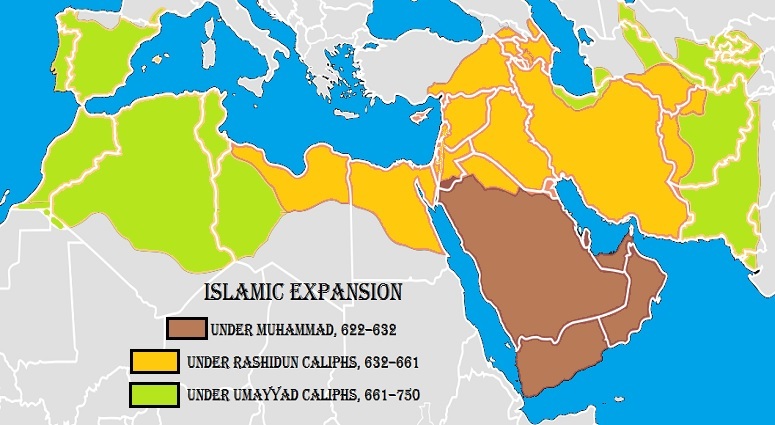 Then, as their numbers in a society reach a tipping point the Imam will start to alter their teaching and inject the teachings from the Medina period where Islam was turned into a conquering force which spread across the Middle East and Northern Africa spreading as if it were wildfire (see map below). The expansion was halted in two main battles, the battle of Tours on October 10, 732, where the French forces were led by Charles ‘the Hammer’ Martel and the Sieges of Vienna in 1529 and 1683 where on September 12, 1683, the King of Poland John III Sobieski led the forces relieving the city. Back to what Israel need learn, and with her the world need learn, from the recent vote of the Security Council. It is necessary to remember the unending attacks against Israeli citizens from terrorists before June of 1967 and the Six Day War. These terror attacks had nothing to do with the ‘settlements’ as there was no occupied territory. The PLO was founded on May 28, 1964, more than three years before there were any occupied territories. The PLO Charter demanded the liberation of Palestine which was defined then as all of Israel within the Green Line and all other borders. 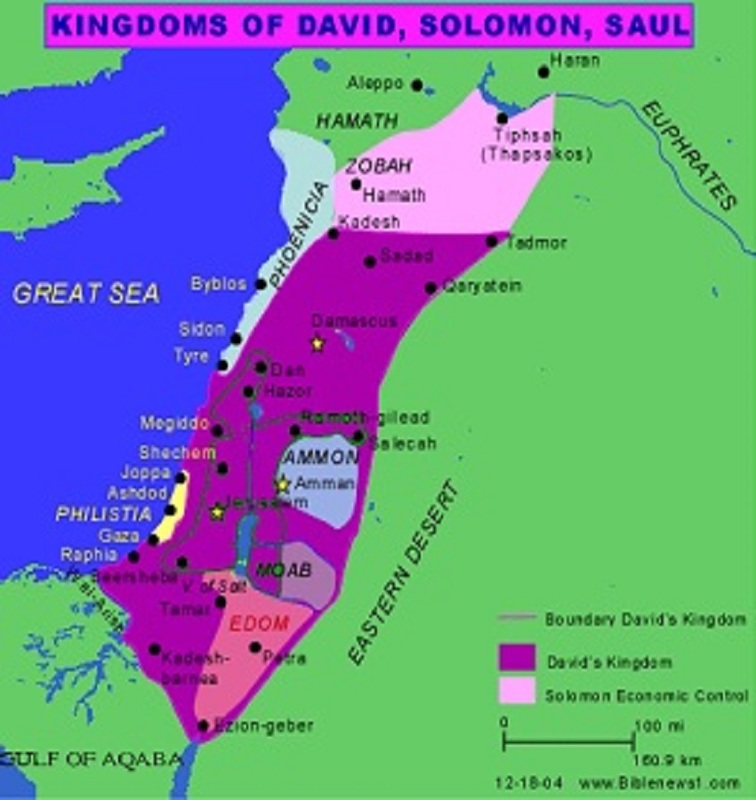 They made no claim to the ‘West Bank’, which are more accurately called Judea and Samaria, as the area was then actual occupied territory with Jordan as the occupying power. 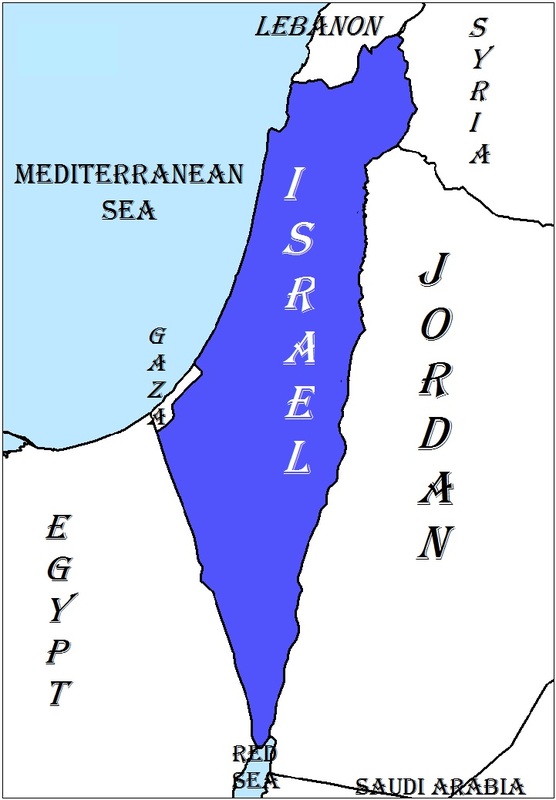 Jordan was granted the areas of Judea and Samaria after Jordanian, Saudi Arabian, Iraqi and Arab League forces wrested the lands from Israel as part of what was envisioned to be a genocidal conquest of the nascent Israel launched on May 15, 1948, the first day of Israel’s existence as a nation. These forces were joined by Syria, Lebanon, Egypt, Sudan, Yemen, Pakistan, Arab Liberation Army, Muslim Brotherhood, Holy War Army and various other irregular forces. During this conflict the Egyptians were granted the Gaza Strip which was the other piece of land lost by Israel in what many refer to as the Israel War of Independence, which is strange as Israeli independence was established on May 15, 1948 and not during a period in 1949 as several different armistices were signed establishing Armistice Lines with the most recognized being the Blue Line, border between Israel and Lebanon, and the Green Line which is the border established then with Jordan. 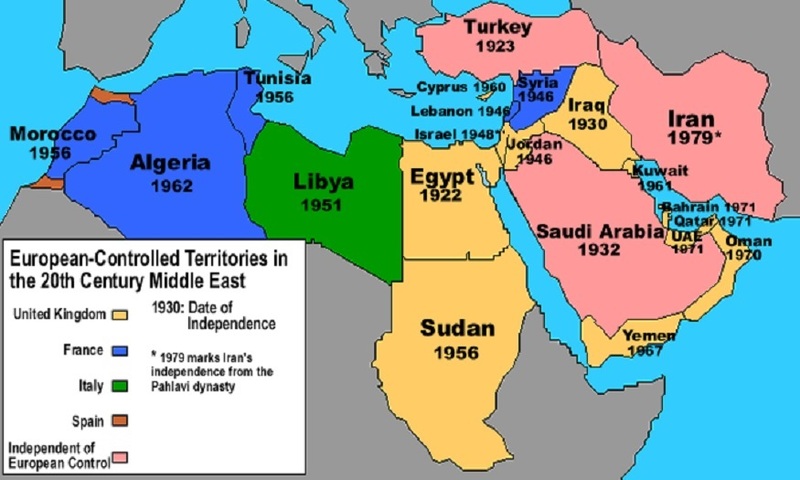 The Arab League insisted that these Armistice Lines never be construed or utilized to establish a border with Israel for as long as Israel has no defined borders the Arab nations can continue to claim it does not exist and a state of war continues. 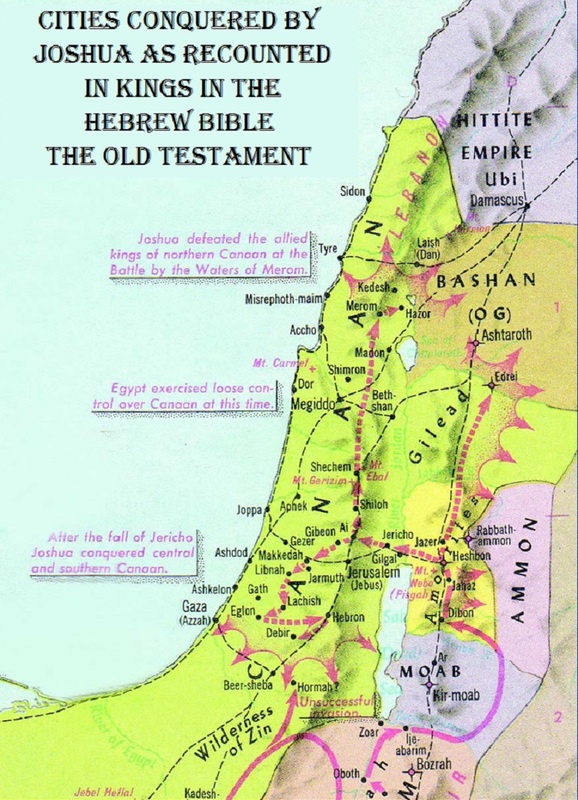 Israel signed peace treaties with Egypt and Jordan establishing borders of the Negev-Sinai border with Egypt and the Jordan River as the Israeli-Jordanian border. 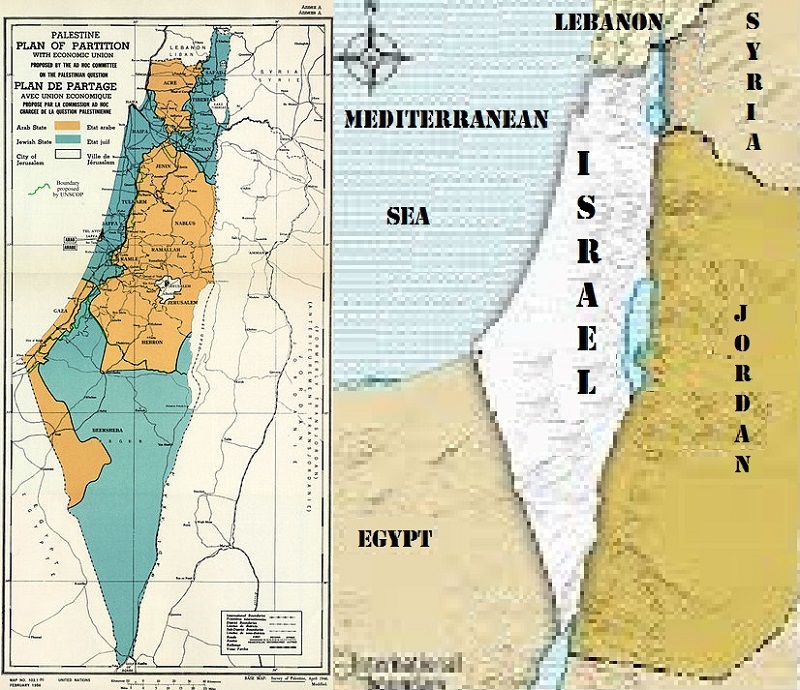 There was never an entity called Palestine, only a region defined originally by the Romans which included what today makes up Israel, Jordan, Syria and Lebanon, a region the Arab League insisted was Greater Syria even through the Mandate period. All of this the United Nations had nothing to say as the Arab armies stole Israeli lands after refusing a plan for two states because the Arab world refused to permit absolutely any Jewish nation and had their own planned invasion in the ready. Nothing was going to prevent the genocidal slaughter of the interloping Jews who insulted all Islam by returning to their ancestral homelands. The reality is the Arab world refuses to permit any land which once has been trodden by an Arab to be ruled by anything other than an Arab. This is behind their claims to all of Europe and the United States, Canada and anywhere in the world where any Arab has resided within any national borders, as that fact makes the entirety of those lands reserved to be part of an Arab Caliphate. Israel has to understand that peace is not possible, only victory or defeat and defeat will be complete and total with not a Jew left alive. Israeli victory would look like (the map below) the borders negotiated with Egypt and Jordan and the Armistice line with Lebanon and the Golan Heights demarcation line with what once was Syria and is now something completely different. Israel exists today for one reason and only one reason, force of arms. Despite facing overwhelming numbers in each of the wars with her Arab neighbors beginning in 1948 and on through the 1967 Six Day War and the 1973 Yom Kippur War, Israel through determination and having little choice but to win or face complete annihilation, has persisted through miracle after miracle, Baruch Hashem. The numbers would determine only one conceivable result in each of these conflicts, the annihilation of the Jews of Israel yet Israel survived. Today we face an even greater threat, a world seemingly united against Israel. Understand what the United Nations Security Council voted to enforce. They determined that all former promises of defensible borders and compromises et al are now cancelled and Israel must return to what Abba Eban referred to as the Auschwitz Borders as they all but guaranteed an Israel which cannot be prevented from constant and overwhelming attack leaving Israel facing assaults from the high ground of the Judean Hills overlooking the heart of Israel where three quarters of Israelis reside and eighty percent of her industrial infrastructure exists. By the Security Council all but demanding and delineating that the Green Line must be the resulting border for any Arab state cut out of lands promised by the world repeatedly through the San Remo conference, Treaty of Sèvres, 1924 Anglo-American Convention, League of Nations Mandate unanimous vote, United Nations Charter Article 80 and various other documents, treaties and agreements, any possibility of reaching a peace agreement has been made impossible. The reality was no peace was ever possible before due to Arab intransigence as stated precisely and in easy to understand terminology in the Khartoum Conference with the stated purpose of The Three No’s; No Peace with Israel, No Negotiations with Israel, No Recognition of Israel. The Palestinian Authority has set their demands just as stridently with their demand for the “Right of Return” for over five million Arabs into Israel with none to be absorbed by their presumed Arab state with the result of voting Israel out of existence with the next election or their other demand to be given their rightful 22% of the lands. The lands to which they refer are the lands of the British Mandate of which 78% of the lands were used for the Arab Palestinian state of Jordan (the real Arab Palestinian state with any other being another such state, the second Palestinian Arab state and with return of refugees to Israel soon a third Palestinian Arab state) leaving by promise of the Churchill White Papers the remaining 22% for the Jewish State, that is the 22% Abbas demands, not Judea and Gaza as pretended by Western politicians who know their lies are but a screen for their consciences as they agree to dissolve Israel if they can have an empty promise that the terrorism will end and there will be no further assault by Islam. Even if they were to receive said promise, it would be a hudna, a ten year agreement which can be broken at any point if the powers of Islam believe they have the tactical advantage. The hudna is based on the Treaty of Hudaybiyyah between Muhammad and the Quraysh tribe, a Jewish tribe in the Arabian Peninsula during Muhammad’s times, which was to last ten years but Muhammad broke it well before the ten years when he was strong enough to eradicate these Jews enslaving the young women and male children young enough to be retrained as Islamic fighters while all the men were slaughtered with those surviving the battle beheaded in a mass fury. Israel desires no hudna as history is a good teacher if one bothers to remember events from the past, especially defining events as the precedent defining hudna. The Security Council vote leaves Israel little if any real choice. The lands of Judea and Samaria must now remain in their totality as part of Israel as this decision makes anything less no longer possible. With the world voting and filling the chamber with diplomats from who knows how many other nations erupting in applause and approval of this calamity delineating the Green Line as if it were set in stone as the gold standard of solutions for granting the Arabs their twenty-second state, leaving Israel staring at an unacceptable vulnerability which cannot be permitted. This also set a precedent for the Arab Palestinian that instead of negotiations with Israel they can simply wait for the right opportunity and petition the United Nations and continue to petition the United Nations until they finally get exactly their latest demands granted by the Security Council setting the world behind their demands. The route has been established. Petition the General Assembly constantly year in and year out as often as feasible knowing that a favorable vote is guaranteed. Just continue this with once a year threatening to take their latest set of demands to the Security Council and should any permanent member nation threaten a veto then take it to the General Assembly for the umpteenth time. When finally the stars and galaxies are in the wrong alignment and there is a guarantee of no veto, even better if the usual vetoing nation is pushing the motion, then present to the Security Council and allow the world to press your evil as then it becomes acceptable and proper. Is there such a thing as the world being wrong and Israel right? In a word, yes, and we are now living in such times. President elect Donald Trump has stated things are about to change. Sorry President elect Trump, nothing can alter or change this because even should you present the Security Council with a motion overturning this decision you can bet one of the following, Russia, China, France or Britain will utilize their veto even should you manage to force a majority of the Security Council members to approve your motion. Israel will never be received as proper or deserving of respect or even the granting of promises given because Israel is the one nation where promises given are lies and threats are the reality of things to come. Yes, while you are President of the United States, during that time Israel will have the protection of the American veto. The problem is you can be President no longer than eight years if, and hopefully when as far as Israel is concerned, you are reelected but then what? Pence would potentially, at best, grant another eight years of protection for Israel but then what? The winds of change are and have been blowing for a very long time in the United States. I have personally observed them and predicted the very events of this past week from back in the late 1980s that the days were coming when the United States would turn against Israel. I meant the politics and the people and the people are turning against Israel just as they are rejecting religion and Judeo-Christian ethics. Your election may give such voice to a dying force which has had its extinction in the cards for many years now and there is little that can alter the degradations which are on the wind. Society in the West is coming apart and much of this collapse is written in the ethics of me and me first and last and only. This philosophy is evident in the depopulation of Europe to the point that Europe is committing suicide in the hopes of rejuvenating its workforce to be able to support its aging populations. America is fortunate, though you do not realize the reality. The United States has infiltrators who at least share your Judeo-Christian ethos and backgrounds. They will continue the work ethic largely and many desire to come to America for opportunity. When I lived in the United States one of two hardest working people, families I knew were immigrants, one legal under Reagan’s amnesty and the other legal outright, the first walked to Pennsylvania from Guatemala to work with a relative and the later from the Philippines. They both were proud and dedicated, hardworking Americans with love for the nation which gave them a life they could only have dreamed about, and had in both cases, in their native countries. Both took chances, the Guatemalan walking and hitchhiking with wife and baby, entire family in tow; the other came and worked six years before being able to bring his wife and three children to America. One I knew in Pittsburgh, the other in Philadelphia, must be something about Pennsylvania, or America. These are the kind of people who will help make America great again, you can only provide them an easier road, but they will do it with you or despite the regulators. Israel is a similar story to the United States, only far older. Israel is the promise to a people who never forgot their dream of returning home when the time was determined. What made it more difficult was that they were not to be the determining factor; the world had to make it so. This was not due to the lack of desire on the part of Jews but because we were instructed to await a sign from Hashem. That sign took a very long time but the time was foretold in prophesy. We knew of the exiles from our lands, the Promised Lands given in a promise from Hashem to Abraham and again reiterated to Isaac and again to Jacob. A promise retold to Moses and to the multitude at Mount Sinai. You will probably never read this writing, but if you do and we meet, remind me to tell you of our story behind the giving of the law and the first two unsuccessful attempts before Moses went up the mountain. We knew the exile in Egypt would be followed by another shorter in length in Babylon and one interminably long exile lasting seemingly eons, which just happens to translate to around a thousand years give or take a few centuries. This final exile lasted almost two of those eons and we will not endure another. Imagine a world without there having been the Chosen People, without the Ten Commandments, without the Bible (Old Testament and thus New Testament as well) and imagine a world where the name of Hashem was never revealed and we still worshipped stone edifices and lived as peoples without an immortal soul. That is the world without Israel if she should fall and that is why it must not be. Israel is the past and the future and it always was and will be ever since Abraham settled amongst the Canaanites and Moses gave us Torah and we gave the world civilization. That civilization lies panting on the floor in need of emergency treatment and perhaps you are to administer that aid. Israel is right there beside her friends to help, but your son-in-law has probably already told you that. You cannot undo the damage done by President Obama but that is how it is supposed to be. What President Obama did, he did to send Israel a message, though not the message he believed he was sending. We received that message, many of us. He told us that Judea and Samaria are a vital part of Israel which she will not survive without and that we need cut the cancer from amongst us and return to Torah. We must keep the promises which we were determined to keep and this includes Judea and Samaria which are a central heartland of ancient Israel and must be a vital part of modern Israel. Hashem desires this and we need to realize the truth and President Obama just presented the only message we might understand. Too bad the world will need to learn the truth in a more difficult lesson which is already on its way.